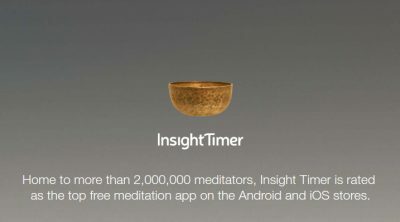 Two of my guided meditations are now available in the popular Insight Timer meditation app, which has more than two million users worldwide. I’m happy to say that at this time more than 1,000 meditators have listened to the meditations, which can be seen on my meditation teacher page. I’m even happier to say that users have been generous with their reviews, giving the Body Scan Mindfulness Meditation an average rating of 4.5 out of 5 stars, and the Metta (Lovingkindness) Meditation 4.4 stars. I find this personally gratifying, and it also encourages me to record more guided meditation audios for public use. I intend to keep my guided meditation recordings available to the public. I know that some meditation teachers reserve theirs for the private use of their students. I’m not arguing with or condemning that approach. It simply feels right for me to make mine public. You can also stream the same meditations on my guided meditation page (as well as on my SoundCloud page and on my YouTube channel). I invite you to try them and to leave your feedback in the comments on this post and/or on my reviews page. I’d love to hear from you! Thanks, Pawel. I appreciate that!